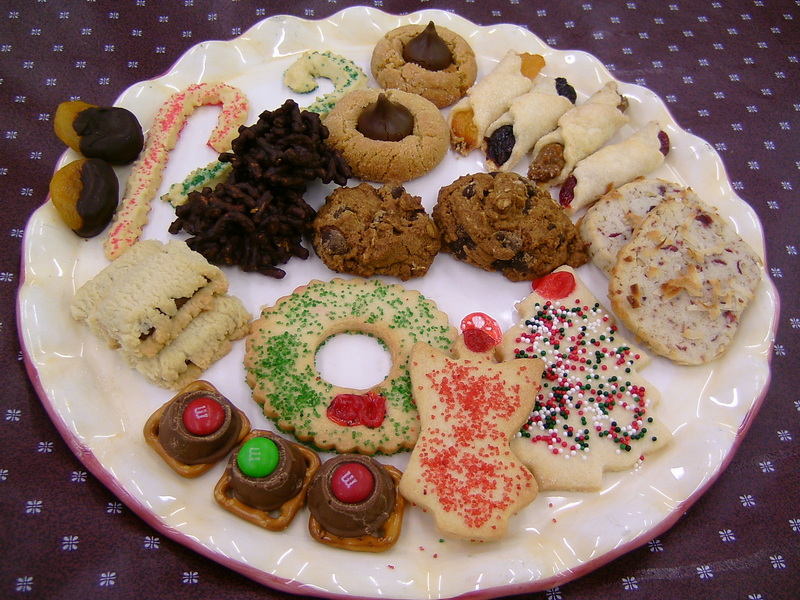 Friends and parishioners have been working hard to make Christmas cookies for your Christmas holiday season. If you need help with your hectic holiday baking we’ve done the work for you. The sale is being held in the parish hall (just behind the rectory) on Saturday, 12/14/2013, from 10 a.m. until 3 p.m. You’re invited. Children will be able to decorate their own cookie(s) in the hall during the event. Each cookie to be decorated is only $1. More pictures are coming soon. We’re already selling plates, bags, 1 dozen trays and 72 piece trays of cookies at the church and at the Carmel and Binford markets. You can still pick up baked goods at the church any day from 9:30 a.m. until 7 p.m. – just call ahead to make sure someone will be here to help you. Our absolutely yummy pumpkin rolls are made with 2013 harvested pumpkins that we’ve pureed ourselves. Made with only 10 ingredients – unlike the grocery store version with close to 30 ingredients with all those preservatives. That’s why someone commented that our pumpkin logs were the “Cadillac of pumpkin rolls.” In late November we made some pumpkin logs with Splenda for those watching their calories. Over Thanksgiving weekend they were given a hearty “Thumbs-Up” by families in Ohio and Indiana. So we’re making more for our customers. We encourage you to pre-order Christmas cookies and baked goods prior to Wednesday December 11th to be assured your selections aren’t already sold or give us a chance to make more. Call 317-632-4157. Oh, BTW, our other baked goods of nut & poppy seed potica rolls (and other flavors), kolachy, biscotti, pizzelles, pumpkin rolls, herbal bread and “Wonderful Waffles” will also be available until we run out. Here is our 2013 Christmas cookie flyer. Thanks for dropping by.